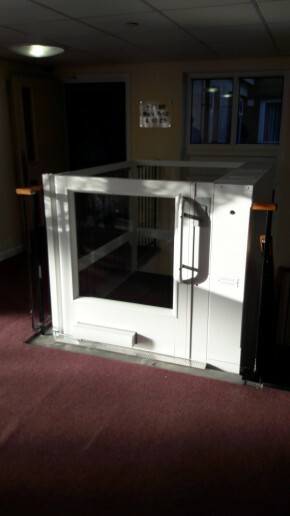 A recent lift installation for the residents of Graham Court Retirement Home in Lochore on behalf of Fife Council. 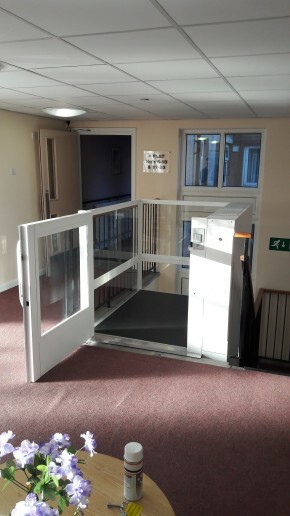 The installation of the Aritco 7000 features a half height top landing door, powered door and gate. 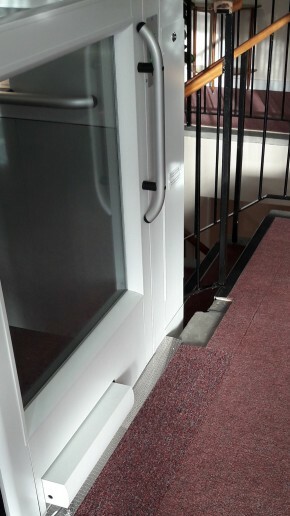 A glass shaft on 2 sides making the lift nice and bright for the residents. 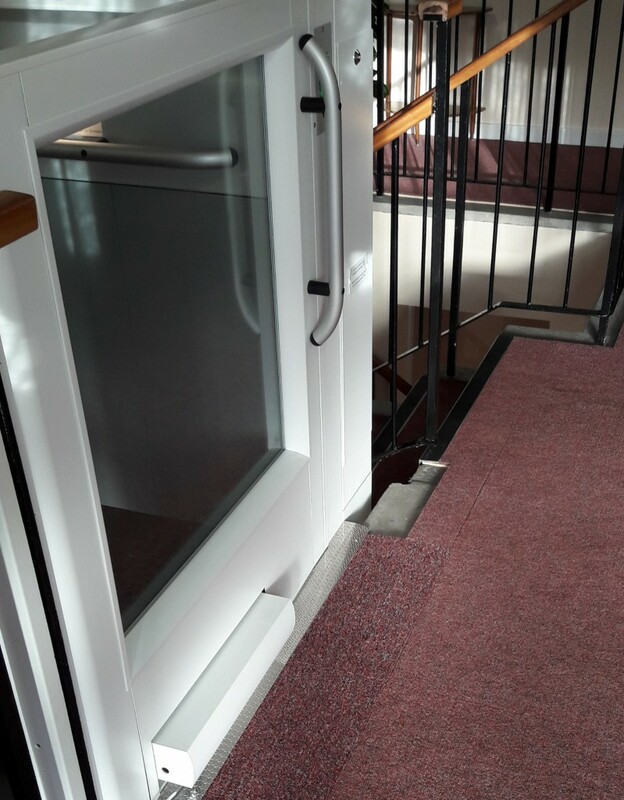 This lift is designed to complement any environment and is popular within care homes, hospitals, offices and schools due to its size and easy compliance with the Equality Act. 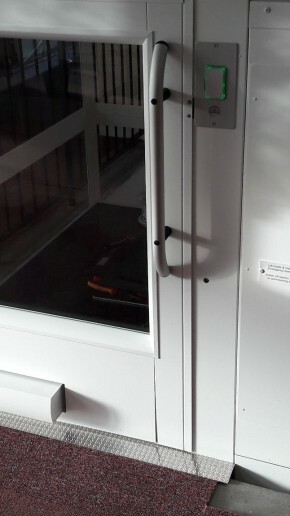 Its patented screw and nut drive makes this lift environmentally friendly, safe and quiet. 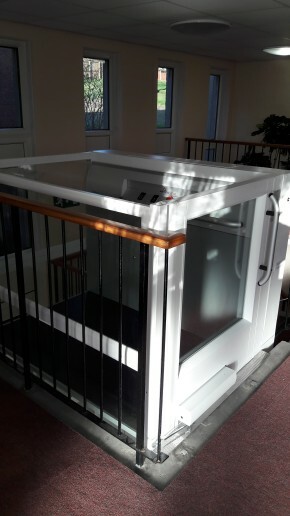 The lift is totally self contained therefore eliminates the need for a machine room or pump room ideal for listed or restricted buildings” This particular lift is floor mounted and is powered by a dedicated 240v electrical supply. 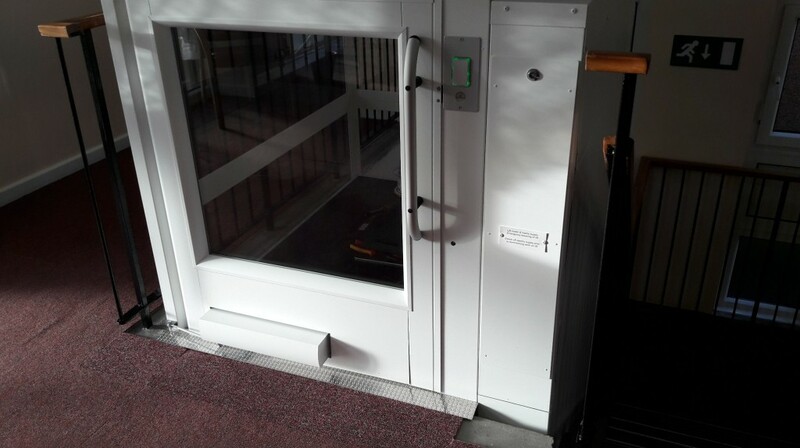 The lift only needs to serviced at six monthly intervals and is large enough to take a wheelchair and a carer.